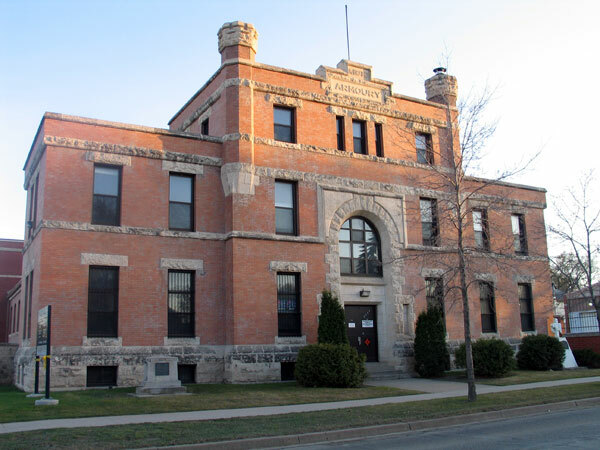 The three-storey brick Brandon Armoury was built between 1907 and 1910 on a design by Brandon architect Thomas Sinclair, with an addition on the south side made in 1937. 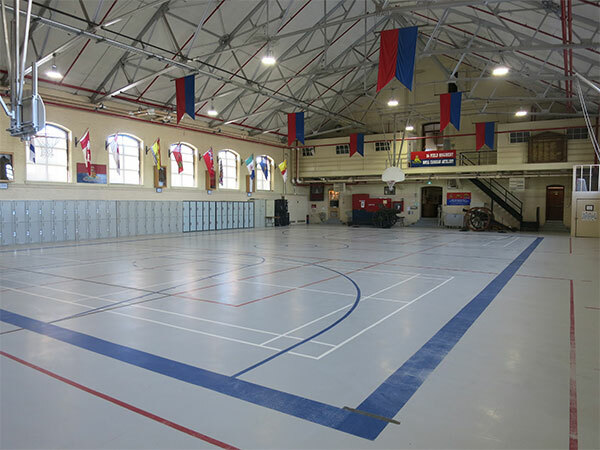 Over the years, it has housed the Royal North West Mounted Police, Royal Canadian Mounted Police, 99th Manitoba Rangers, XII Manitoba Dragoon, and 26th Field Artillery Regiment. A museum, archives and library on the first floor has been open to the public since 1979. 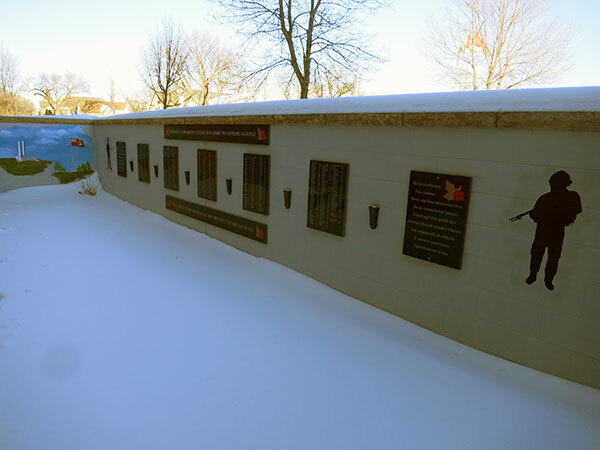 Outside the building, on its east side, is a small garden with tablets listing the names of all those from the Brandon area who lost their lives in wartime. 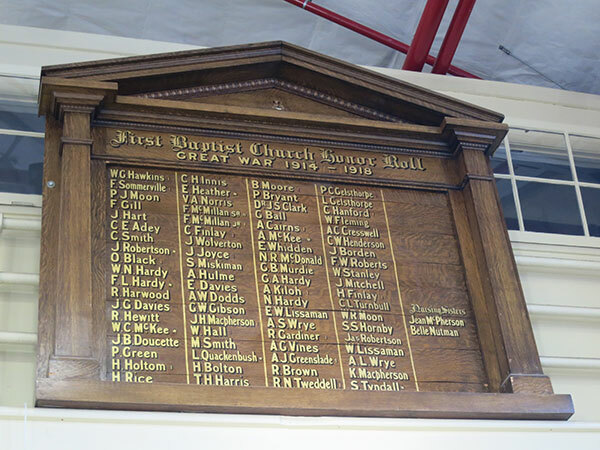 Inside the building are honour rolls listing those from the First Baptist Church of Brandon and Lorndale Church who were killed during military service. 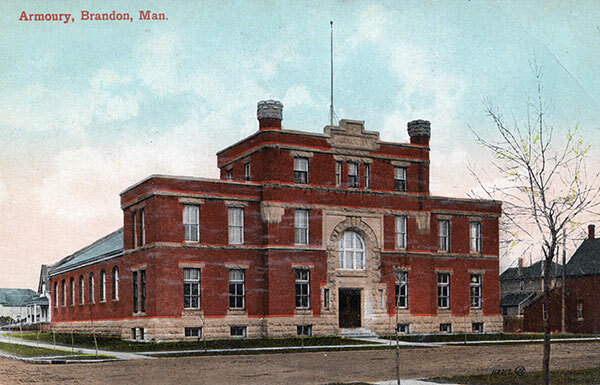 Contact the museum at 204-717-4579 or 2612Museum@gmail.com. This page was prepared by Gordon Goldsborough, Ted Krasicki, and Darryl Toews.